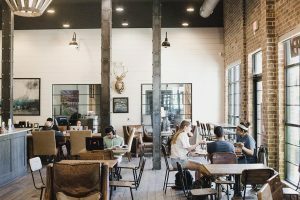 Chattahoochee Coffee Company is a specialty coffee company located in Atlanta, GA. We exist to make a positive impact in our community and world while providing an exceptional product to our customers. We break this down into three fundamental commitments: Coffee, Justice & Community. We are passionate about coffee, and we take the art of crafting beverages very seriously. 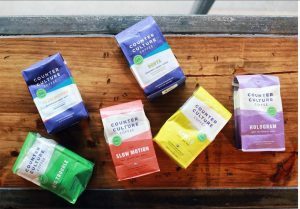 We are dedicated to serving some of the best and most sustainable coffee that can be sourced around the world and are proud to partner with our roaster, Counter Culture Coffee. We carry our commitment to coffee quality to our other ingredients as well and craft most flavor syrups in-house. Our milk is locally sourced from Mountain Fresh Creamery out of Clermont, GA, we carry loose-leaf tea from Rishi Tea, and our pastries and food items are catered in fresh daily from H&F Bread and Ratio Bakeshop. As a company, we are committed to use our resources, influence and physical space to empower positivity in the world. Stop by the shop to buy goods from various organizations doing awesome things in Atlanta and around the world, keep an eye on our events tab for charity fundraisering events and awareness campaigns, and know that we donate at least 10% of our annual revenue to non-profit organizations and charities that we believe in. For a list of where we’ve donated in the past click here. We value customer service and strive to create an environment with community building in mind. 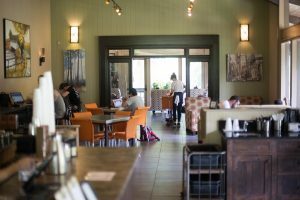 If you need a table for a work meeting, a space to gather with a small group, or simply want to get away for some alone time, we hope you always feel at home here. Check out our events tab for fun stuff we’ve got going on that you can be a part of! Kylene has been working in coffee since 2008. What started as a part-time hobby to simply fill some time in the midst of a career transition, soon turned into a full-time passion. 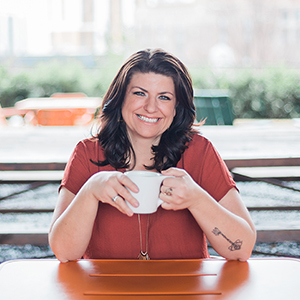 In 2012 she launched Chattahoochee Coffee Company with the Riverside location, and expanded to open Westside in 2015. Kylene is passionate about excellent flavors, beautiful environments and genuine relationships. It is her hope that you find all three in each visit to any Chattahoochee Coffee location.